Over 75% of you feel that social media tools provide the opportunity to improve the way you manage projects, according to this year’s Social Media in a Project Environment survey. 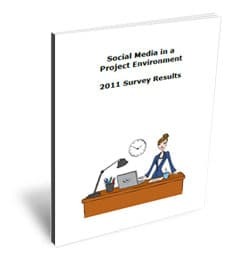 The 2011 results show how project managers around the world are using social media tools to manage projects and lead teams. There was lots of interest in the uses of social media for project teams during the last two years (for example, my book, the Virtual Working Summit and Bas de Baar’s work, especially his presentation at the PMI EMEA Congress in Amsterdam). This year shows that interest and experience of using social media tools at work is continuing. Many senior managers still fail to see the benefits that social media tools used professionally at work can bring. However, many workplaces are becoming more aware of the importance of tailoring communication channels to how the recipient wants to receive information. We need to tailor the way we communicate with project team members to ensure we are easy to work with, and that we work in ways that make sense to them. One of the most interesting results for me was that podcasts and video podcasts are among the least used tools. When I started working in healthcare I listened to healthcare podcasts on my commute to work. They helped me quickly learn the jargon of my new sector and feel less of an idiot when people in meetings used words that were unfamiliar. 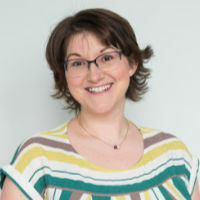 There are lots of good project management podcasts, some of which, like The PDUCast, contribute to maintaining your professional credentials (this is an affiliate link). I strongly recommend that if you don’t listen to podcasts for professional development, that you find some you like and start doing so. If you are responsible for coaching and mentoring project teams consider using them as low-cost, vehicles for training material. The scariest statistic from the survey was that 42% of people said that they are not officially sanctioned to use social media tools at work, but they do so anyway, an increase of 4% from last year. IT managers and PMO teams need to wake up to the idea that employees are finding ways to use social media tools at work whether they have been officially sanctioned or not. Software installed outside of the official channels could be a security risk, it probably isn’t backed up and there is no visibility of it should the company need to provide information for audits or Data Protection Act subject access requests. If you are part of the 42% please talk to your IT team! If you don’t feel you can, please get in touch. I’m really interested in learning more about the reasons behind this result. Download the full survey results below. Filed Under: Skills Tagged With: Research, Social media for project managers, This article contains affiliate links. Thanks for sharing the rationale behind your use of social media tools. It’s a pity that more IT departments are not open to the suggestion of this type of tool as a productivity enhancer. It is a balance between managing policies and data protection, and making sure that the needs of the users are met. For example, over here we have to make sure that we can respond to Freedom of Information Act requests, and if we don’t know where the information is stored, we can’t appropriately respond. So IT need to know what systems people are using to store data in. Equally, IT departments need to do capacity planning for network utilisation, and having every team with their own YouTube channel will massively impact that. Having said that, blocking the use of new technologies for bureaucratic purposes helps no one. It’s a delicate balance, and I hope we’ll see it shift in favour of the users in the future. Hi Connor, thanks for explaining the rationale behind your unofficial use of social media tools. It sounds as if you have some solid logic for wanting to go outside the ‘normal’ processes because the corporate policies do more to impede your progress than support it. It’s a shame that more IT departments haven’t caught on to the idea that these tools increase productivity and help support remote workers. However, the concern I have is that corporate data held in these tools is not backed up and is not always secure. In the UK, for example, we have to be able to respond to Freedom of Information requests, and we can’t do that if we don’t know about some users storing data in unofficial locations. It is a very difficult balance between productivity and corporate policy, and I hope that users and the IT departments that support them will find a way to balance both their needs. Wow, this is excellent material, Elizabeth! I pay close attention to this space as I’m also very interested in where and how new tools are used for project management. From my perspective, the first time I used a wiki to keep track of requirements across geographies I was completely hooked! I was surprised to see the number of respondents who believe social media tools improve project management drop, but I also noted that those who were neutral on the matter increased by 2/3 of the shortfall. As you mentioned in another section of the report, perhaps that’s indicative of a slightly more blase attitude towards social media than viewing these tools as actively unhelpful. I certainly hope it is a sign that social media is becoming more ‘mainstream’. I haven’t yet decided if I will run the survey again next year, but if I do it will be interesting to see if the number falls further.